I spent 28 years in retail and manufacturing, primarily buying for large blue chip organisations. When I was faced with redundancy I decided that although I had a lot to offer, I didn't want to work in corporate life again. Having volunteered for the Samaritans in the past it was apparent to me that I've always liked helping people. I'm used to listening to people and have always used this approach in my managerial style - I started to look for an opportunity to utilise these skills and remain in business and this led me straight to ActionCOACH. What really stands out for me is ActionCOACH's business culture - the values of the business really resonate with me. The franchise is also run in a very supportive style - very open, honest and direct - and I thought of this as the key in developing a good relationship with a franchisor. ActionCOACH really does tick all of my boxes in terms of business opportunity, sector and professionalism. 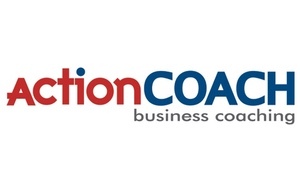 When I spoke to some existing franchisees, the consensus was that ActionCOACH has a great business model that, if followed correctly, will bring results. I thought the 10-day intensive training is absolutely superb - not only the content but the way it is delivered. It is a rewarding experience and very enjoyable - it equipped me with everything I needed. Since I launched the business four years ago, I have coached many different people from businesses large and small, new and established. There is so much potential with this business. Today the business has grown to a team of nine including a number of other business coaches. I am able to split my time up between managing and training the coaches while still being able to provide customers with the coaching service myself. ActionCOACH has a very good support structure which includes a highly developed intranet system that provides excellent communication between franchisees worldwide. This means that if a problem ever arises I can gain help and knowledge from the entire network - it's a great tool. I really do enjoy the work, the challenges and the fact that I own a business that helps others in business. Becoming a franchisee has been fantastic and rewarding.